The shop window was hit by a stone. The stone came from inside the shop. Let’s speak of Artketing and of how it blurs the line that separates citizens from spectators, passers-by from customers. The masters of sfumato are Prada, Louis Vuitton, Fendi, Audemars Piguet, Rolls-Royce, Ermenegildo Zegna, Hermes, Michael Elmgreen and Ingar Dragset, Stella McCartney, Levi’s, Burberry, Ford, Tiffany & Co, Loewe, Cartier, Jean-Paul Gaultier, Chanel, Gucci, Jeff Koons, Richard Prince, Takashi Murakami, Yayoi Kusama, Dinos and Jake Chapman, Cindy Sherman, Isaac Julien, Lucy + Jorge Orta, Damien Hirst, Thomas Demand, Dan Flavin, Ellsworth Kelly, Liam Gillick, Olafur Eliasson, Ed Ruscha, Ron Mueck, Carlos Amorales …I haven’t brought them together in the same sentence — they did so themselves. Brands have entered museums (Alexander McQueen: Savage Beauty, at The Metropolitan Museum of Art) and artists have entered luxury shops (Jeremy Deller at Louis Vuitton). The theme is as broad as the list of infiltrators, so I shall focus on one issue: that of the city and public space. On the subject of the difference between a museum, an art fair, a biennale and a luxury shop all we can say is that it is increasingly less clear, which is not surprising in view of the fact that the sponsors and visitors to the former are the same people who make purchases in the latter. 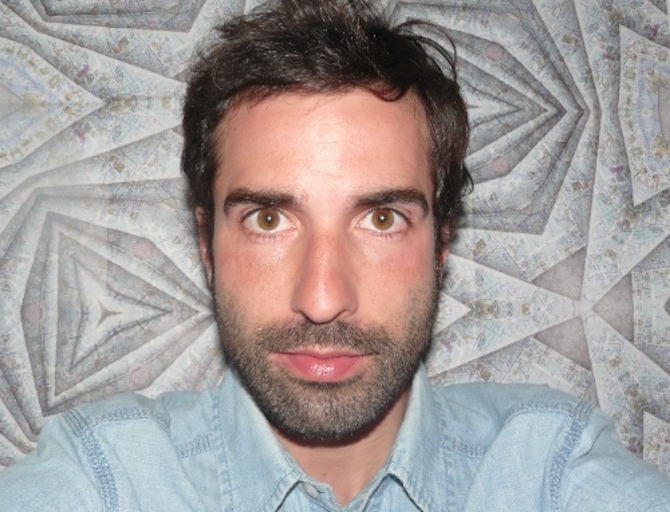 Who decides which artist will represent a given country at the Venice Biennale? A private art gallery that also organises an art fair whose stands, furthermore, welcome luxury brands? Public powers tremble before Kryptonite — money, money, money. By art of money, institutional criticism can become institutional chic (as exemplified by Daniel Buren and his site-specific work for Louis Vuitton). Let’s talk about street shop windows. It’s a great idea that besides showing their products they should want to do so in a beautiful way. In the mid-twentieth century, Gaston-Louis Vuitton designed showcases artistically inspired by geometry and colour that greatly resembled the Suprematist works by El Lissitzky (communism and capitalism are only separated by a showcase). The designer declared that ‘Picturesque streets with quaint boutiques have disappeared forever. While in the nineteenth century they were quite boring, an air of change seems to have arrived with the new century: the shopkeeper transformed its front window into a wonderful modern façade. Let’s make the streets happy spaces … Our efforts should be focused on pedestrians, to whom we should give a reason for amusement, for taking a walk!’. And for shopping too, of course. In this happy space we can no longer take a step forward without there being a brand selling us one of their products or without a youngster dressed up as a Minion offering us a voucher to have balayage highlights. The pleasure would have made Warhol’s wig fall off. In the public sphere, we have moved from the invisible hand to the ominous claw playing with the common marble. The square as an open-air shopping centre. Sometimes I think that it’s the city that is inside the showcase, not the other way around. This confusion is infectious and enters our organism, our nature as one and a trinity: citizens, spectators and customers. If we don’t sharpen our eyes and our brains, we shall become accomplices of a system designed so that we may admire as works of art what we buy as products, and that we may buy as works of art what we admire as products. By the way, and at a leisurely pace we become human posters. Our sin is based on not knowing and on not wanting to know who made the showcase, for what purpose, for whom and why. 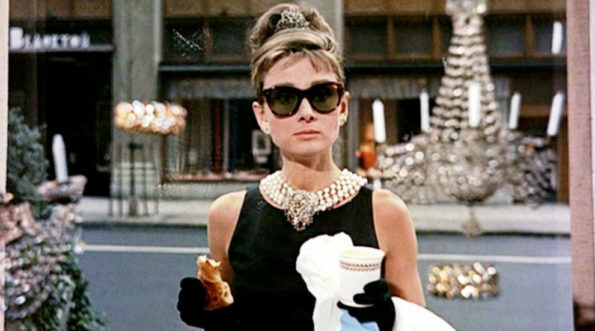 We prefer to carry on like Holly Golightly, stuffing ourselves with croissants outside Tifanny’s shop window; those who look from inside, those who ‘no longer inhabit’ cities, look at us reluctantly. In this equation, artists and artistic institutions gain in the number of sporadic spectators and in a fair amount of money, and brands gain in prestige and new customers. As regards artists’ responsibility, whether they choose the Medici or Cisneros as sponsors, is subject to debate. Artists and symbolic capital/ism. The criticism that cannot be avoided is whether their work triumphs over the luxury brand, or vice versa. The case of Kusama and Murakami (who actually sold bags inside a museum, The Museum of Contemporary Art Los Angeles) is quite clear: their works supported Louis Vuitton. Exhibition and exhibitionism are separated by an ism. Of course, some decide to defend and defend themselves from the demands of viral capitalism. One of Michael Snow’s gooses pecks at my head. Toronto’s Eaton Centre displays a work commissioned from the artist: sculptures of geese overflying the shops. At Christmas 1981 the Toronto shopping centre decided to decorate the geese placing little red bows around their necks. Snow informed against the mall for the violation of moral rights and won the trial. Rules in shopping centres are different. What you say in a mall you wouldn’t say on the street. At a shopping centre you can see Federico García Lorca next to watermelons, for instance, or Allen Ginsberg or a rejected marriage proposal. It’s not that you feel like shopping and so you go to a mall, you go to the mall and then you feel like shopping, like Jack Gladney in White Noise, who feels increasingly stronger and freer the more he shops. That’s how it works. Michael Snow’s geese continue to fly around the Canadian shopping centre, but we receive little red bows every day without invoking our moral rights. The social unconscious, to quote Terry Eagleton. On the issue of how our social unconscious works when it comes to allowing public space to be coapted by luxury brands introduced in the art world, nobody says a word. ‘The empirical study shows that around 16 per cent of all luxury brands worldwide are using visible co-operations with the arts.’ Benjamin Berghaus, Günter Müller-Stewens and Sven Reinecke, The Management of Luxury: A Practitioners Handbook, Kogan Page, London, 2015, p. 127. Truman Capote, n. d. ‘Breakfast at Tiffany’s’. Published as a novella in 1958. Henri Lefebvre, ‘The Right to the City’. Originally published in French as Le Droit à la ville, this quote from the English version in Writings on Cities. Henri Lefebvre, selected, translated and introduced by Eleonore Kofman and Elizabeth Lebas, Blackwell, Oxford, 2000, p. 159. In this sense, see Jean-Noël Kapferer, Kapferer on Luxury: How Luxury Brands Can Grow Yet Remain Rare, Kogan Page, London, 2015. Allen Ginsberg, Howl and Other Poems, City Lights, San Francisco, 2001. Don DeLillo, D. (2018). White Noise, Penguin, London, 2016. Terry Eagleton, Culture, Yale University Press, New Haven (Connecticut), 2016. His intention is to continue to improve his writing of art criticism; everything else is enjoying and learning from contemporary proposals, establishing other strategies of relations, either as a contributor to magazines, editor of a review, curator or lecturer. As a backpacking art critic, he has shared moments with artists from Central America, Mexico and Chile. And the list will continue. Combating self-interested art, applauding interesting art.